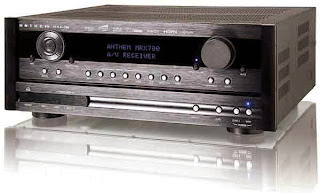 Anthem® Electronics Blog | News & Updates: Anthem Cleans Up in Stereophile's 2013 Recommended Components! 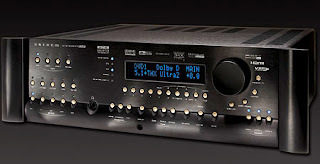 Anthem Cleans Up in Stereophile's 2013 Recommended Components! 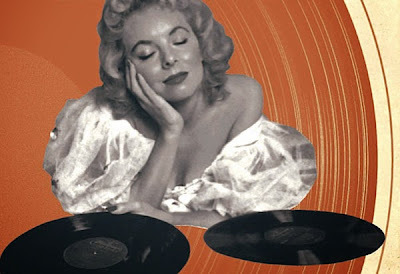 "The next best thing to the very best sound reproduction; Class B components generally cost less than those in Class A, but most Class B components are still quite expensive." "The latest enhancement of the Statement D2 audio/video processor is the Anthem Room Correction kit (ARC), which includes a calibration microphone and stand and all necessary software and cables. Its versatile controls allow the user to modify the recommended crossovers, insert a variable room-gain bump, and set the upper-frequency limit for corrections. With the ARC's settings in place, soundstages were wider and more open. "Using the optimized ARC Advanced settings elevated my system's performance to a new level," said Kal. The "honest immediacy" of ARC's v1.2.5 upgrade benefited movies and video." "Made in China, the 90Wpc MRX 700 is Anthem's top-model audio/video receiver. It has all the requisite A/V connections, including USB and Ethernet inputs; is compatible with HD radio and iTunes tagging; comes with a complete Anthem Room Correction kit; and uses a large toroidal power transformer." "Despite its relatively slim proportions (19.25" W by 2.25" H by 18.75" D; 20 lbs), the class-D Statement M1 is rated to deliver a whopping 1000W into 8 ohms. An internal heat-pipe cooling system allows multiple M1s to be stacked without the need for cooling fans or heatsink fins. The tidy rear panel holds balanced and single-ended inputs, a balanced-output gain switch, various trigger options, and a single pair of output terminals." Click here! for more information on Anthem's Statement D2v 3D. Click here! 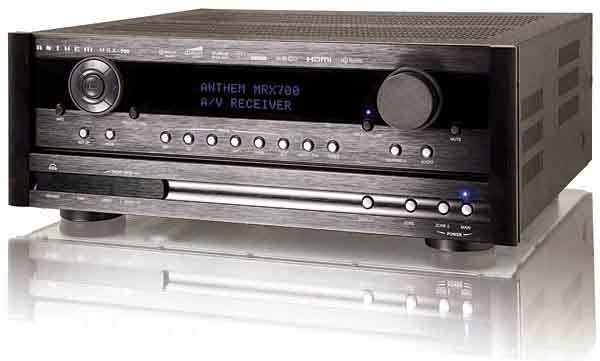 for more information on Anthem's MRX 700. Click here! for more information on Anthem's Statement M1.